My deepest Sympathy to the Madam Kelong President to be. No matter how you try to prove yourself capable of being independent of PAP, you will always be FOOT noted in the History of Singapore as the Kelong President who is beholden to PAP for getting this disgraceful position of Presidency. It may not be your fault but you are one who made the choice to play right into the hands of PAP and thus, rightfully so, you will have to be responsible for your decision to play the puppet of the power that be. The circumstances under which you become the President bring no glory or pride to you, your family or your clan but only insults, shame and anger to the Malay community. You have already been addressed as "Madam President" by your powerful colleagues even before the race and now, being made the Madam President as "planned" through administrative means. We cannot help to feel that this is all Kelong or an elaborated set up of a wayang. Your colleagues have helped to set up barriers to all competition by making Reserved Presidential Election... yes, make no mistake about it, it is indeed RESERVED for you and nobody else. By doing so, your Malay community has suffered humiliation not only once but twice throughout the whole farce process. One, they have set on record that any Malay Presidential candidate, including you Madam Kelong President, will not be able to win in a fair and open Presidential Elections because you are a minority despite the fact that not so long ago, an Indian PAP candidate has just won a by elections against the Secretary General of the second largest opposition party in Singapore! The Malay community is further insulted when their two very successful self-made millionaires were denied Presidential candidacy even though they have created their own business empires which are worth multiple hundreds of millions. Do they lack any business, economics or financial capabilities to perform the role of the Elected Presidency when they have basically built their own business empires through their own merits? Obviously not and I believe they are better qualified in business, economics and financial capabilities than you do, Madam Kelong President! You are only qualified on the technicality of being the PAP appointed Speaker of Parliament which doesn't involve in managing any big business, lest a $500 million paid up capital entity! These are the Business Elites of the Malay community but they were put down as not good enough to be the Elected President?! Only people like you who are beholden to PAP by working for PAP could be qualified as Kelong President? How hurtful could that be to your Malay Community, which you proclaim to represent and belong to? Madam Kelong President, you may think that you have brought glory to yourself and the Malay community but no, you have instead brought shame, hurt and anger to the Malay community. I would have even more sympathy to you if you really think it is something great to become the Kelong President as you wish because you are living in a dream that lacks legacy and dignity. Even your predecessor Tony Tan has more dignity than you do despite the fact that he had won only by less than 35% but at the very least he fought the battle till the very end! But you? You will always been seen as appointed by the 16 persons and PAP and nobody else. My heart felt thanks to the other two Malay candidates, Mr Salleh Marican and Mr Farid Khan for stepping forward to offer yourself to serve Singapore as President. Don't feel bad to be rejected by the political sophistry of PAP because it is not the people like us who have rejected you. Only 16 people plus the PAP have rejected you. All the best to both of you. Thank you. Most people could only see the trees but not the whole forest. I was having dinner with a couple of friends and I explain to them that this is in fact a Dictatorship in the making but they couldn't really understand the whole picture. As stated in PEOPLE's Power Party constitution, the fundamental principle which determine a Democracy is the Separation of 5 Powers. Most people would only know or familiar with the basic 3 Powers of Judiciary, Legislative and Executive but not the other two Powers. True enough my friends ask me what are the other two Powers? I explain to them it is Power of Impeachment and Power of Appointment of civil servants (Examination). In Singapore's context, the President who is supposed to safeguard our foreign reserves, is the key institution of Power of Impeachment together with CPIB. PSC which takes care of the civil service recruitment and appointment is the institution empowered with the function of Examination Power. If we take a good look at what PAP is trying to do, we will realize that they are CONCENTRATING ALL THE FIVE POWERS under them by appointing their own people to the key positions. They have controlled both the Executive and Legislative powers by default, then they started to influence heavily on the appointments of key personnel to civil service and a GLCs, sometimes even put their own family members in these important positions. Then they start to meddle with the whole judiciary system by appointing their own people to the AGC! IF all these Five Powers are separated and independent of each other, we would have a good functioning Democracy with proper checks and balances. But the reverse would mean a total interdependent Powers tightly controlled by a centralized figure or organization. This would basically mean a total concentration of powers which in effect, turning our system into a live dictatorship! Singaporeans should wake up to this fact that the Post LKY era will mean a tightening control of all Five Powers and the destruction of Democracy for Singapore will be completed without any effective system of checks and balances. Some call it Straight Instant Karma, some would just call it Black Irony. Once a powerful man on the island, feared even by his own political minions in the party, had eventually suffered great humiliation and disrespect, only to become a puppet political tool for his own son and party to milk to the fullest. Who would imagine that such great shrewd politician of his time, who was exceptionally street smart to milk the political capital of his contemporaries like Lim Chin Siong, would end up nothing more than a "sacred political cow" to be milked eternally by his own party, against his own will after his death? Who would imagine that a ruthless politician like him who had locked up thousands of his detractors and dissidents, breaking their families and soul in solitary confinement, forcing many others to run road as well, would end up with the very machinery or rather, Monster he created, instilling that same fear in his own son, forcing him to consider the Run Road option? Who would expect a man who had undaunted will power that created Singapore under his will and likings, couldn't even get that little respect from the very party he created, to grant him that simple wish to demolish his own house? Who would expect a man who had used his expertise in law, to create draconian laws which were deemed necessary for forceful land acquisition for urban renewal, would possibly end up at the end of this huge stick, to have his own Minister openly declare that his own house and property could be forcefully acquired by the government against his will? Who would expect the mantra "for the greater Nation good" which he created to justify all bad policies against the people, be used against his will eventually? Who would expect that a man renowned as the First among equals, top lawyer graduated with top grades from Cambridge, could be so blatantly insulted to be a senile fool who couldn't even understand his own Will that he has signed? Who would expect a man with such great mastery of words, twisting and turning his words just to get what he wanted, could be subjected to such Third class wordy abuse of twisting himself? Who would expect a man who had preached about Confucianism all his life ended up with filial piety treated as trash while his children fought among themselves under his name? For all his life, he diligently worked hard and created his dream system of semi dictatorship and Asian authoritarian rule, but in the end, he was so helplessly turned into the victim of his own pet monster, under the control of his own son. For those who are in the system enjoying every bit of that power of tyranny, don't be too happy yet. What can happen to him, could well befallen upon you one day. My political mentor had always taught me this simple methodology of Criminology... always look for Motive first before you do anything else. There are many accusations and counter-accusations flying around. Now the Pro-PAP-LHL people are saying Lee Suet Fern is a "puppet master"... manipulating behind the scene of the will... etc. But I ask, what is her motive, if any? Allowing her husband to get slightly higher share when LWL's share is reduced to be equal to the other two siblings? But this will in fact, benefits LHL as well! So why would LHL complains? People are not looking at things in proper context. All three children of LKY are MULTI-Millionaire (if not billionaire), at least tens if not hundreds of millions net worth. Their families most probably could live for generations without doing anything! When you are that rich, the marginal utility of additional wealth is really marginal. In fact, if it is really about money, LHY won't have agreed to pay 150% for the Oxley house (50% for charity) to buy it from his brother, just to have it and allow his sister to stay in this house and later, demolish it! Thus, I do not believe money is the issue here and Lee Suet Fern has no obvious motive to gain anything out of all these bickering. So what's the beef here? I do not think Lee Wei Ling mind how much she will get from LKY's estate. Having read her past writings published on newspapers and her FB, rightfully or wrongfully, she has great emotional attachment to things, to people, to her parents, especially her father. She is single and has no family. All she has now, in terms of money, is more than enough for her to live till the end of her life. But there is only one motive and desire in her, the desire of living in the old Oxley house due to her emotional attachment. And of course, she will guard her family's privacy with all force and thus, insisting that the house should not become a public place whereby other people could throng in and out of it.These are after all, her precious memories of her life. Thus, when her relationship with LKY was frosty, for whatever reasons, she was more upset that she wasn't allow to live in the Oxley house after LKY's impending death, than having less share of his estate. Lee Suet Fern just happened to become the mediator between the father and daughter. She managed to secure the most important part of the will, to allow LWL to stay in the house and to have it demolished after her passing. From the emails released by LWL (the one LSF wrote to Shanmugam), I could see that Lee Suet Fern's only concern is to mend the ties between the father and the daughter. Thus, it is totally unfair and uncalled for to make Lee Suet Fern to look like an "evil puppet master" or "evil manipulator" of any sort. To accuse LSF or even LHY to insert that Demolition clause into the Last Will sneakily without letting LKY know, is totally absurd. For this Demolition Clause, they gain absolutely nothing! Why would they risk the wrath of LKY by doing such thing? LWL is the one who benefits directly and emotionally to have this Demolition Clause to be reinstated. And this is why she fought so hard against LHL when LHL tried to preserve it. Even felt sour when this Demolition Clause, for whatever reasons, was taken out in the two preceding wills. LHY didn't make noise openly against his brother until now, which I think is because he and his wife felt THREATENED. LHY didn't even make noise of his unhappiness when he was made to pay 150% for the Oxley house, because basically money isn't really a big problem to him. It is only when his and his family's lives are THREATENED, he would openly put up such devastating joint statement. On the other hand, LHL has been shown to be inconsistent.. as LHY has put it, saying different things at different times. 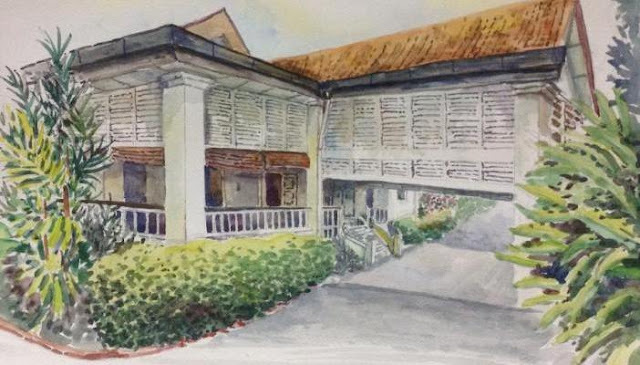 But one thing is very clearly consistent, his desire and motive to keep the Oxley house intact, against his father's wish even when LKY was alive! For what motive? LWL and LHY had provided the reason: to make full use of LKY's political legacy to extend his own political agenda. Do I believe in their assertion? Yes, I do because there isn't any other plausible reason other than political reasons. Thus, if you ask me who do I believe? I would say I believe LWL, LHY and LSF. I empathize LWL's position of wanting to stay in Oxley house for sentimental value. I believe LSF genuinely wanted to mend ties between LWL and LKY. I also believe that there is no monetary motive on LHY's part to want to fulfill his father's wish. In fact, he has lost quite a bit of money here but yet, he felt betrayed by his brother, PM Lee, after paying so much money but still the brother wanted to use his power to keep the house via administrative powers. As to whether Oxley house should be preserved for "heritage" or "historical value", I shall comment another day.